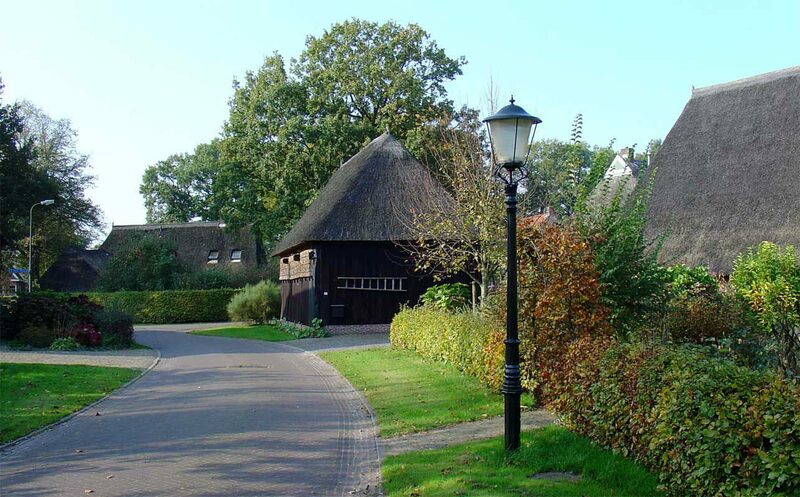 Gees is a village in the municipality of Coevorden with about 650 inhabitants. The first mention of Spirit is in a record of 1208. The village is on an elongated sandy hill in an earlier barren environment. Near the Fred's landmark are the woodland-lined fields in the stream valley of the Loodiep and the stream of Drostendiep is close by. These flow valleys now form part of the Hooge Stoep nature reserve. Gees is an esdorp, which is still well visible to many Saxon farms. Part of the village is protected village view. Gees also has very few new buildings and has thus retained its original character. The mark of Gees is characterized by large aces and greenlands along the Geeserstroom. However, half of the village is occupied by the forests and heathlands of the 1600 ha. Great Forestry Spirit (Staatsbosbeheer). These forests were planned in the 1930s on the heathlands. However, with the Hooge Stoep, a large heath field has still been preserved. Apart from the farms, there is a striking attraction in the village, the Stone of Gees: an enormous wreck. This is at the door of the same-name restaurant party center. It is one of the largest strawberries in the Netherlands. Another attraction is outside the village: the gallery and sculpture in Gees. And every year a tour is being organized for engines from year 1900 to 1915 and this tour is called Rondomgees. Gees has two churches: a reformed and a liberated reformed church. However, most inhabitants had traditionally been Dutch Reformed and lived in Oosterhesselen, where Gees fell to municipalities until January 1, 1998. In addition, Gees has fifteen entries in the national register, with fourteen farms and one site with remains of a castle.